Our native birds and wildlife don’t need extra food provided by people. 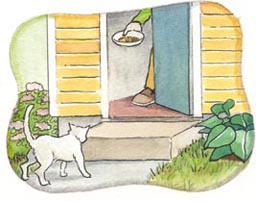 If you do choose to feed birds and wildlife, follow these tips. Consider the safety and welfare of wildlife. Backyard feeding often means animals travel near and across roadways. Wildlife fed in residential areas loose their natural fear of people and become vulnerable, while young animals fail to learn the skills required to secure their natural diets. 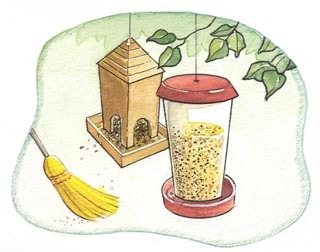 Eliminate spillage around feeders. It attracts various small mammals, deer, even bears. Some of these species carry ticks and intestinal parasites that can be passed to you or your pets. 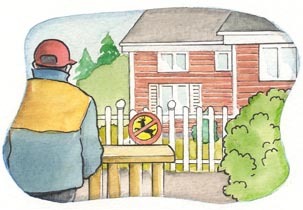 Minimize nuisance wildlife visits. 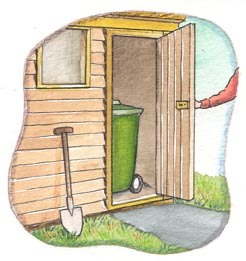 Keep barbecues and surrounding areas clean, use proper waste disposal and composting techniques. Remember your neighbours. 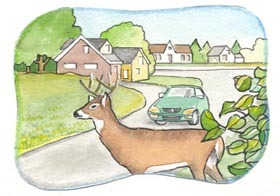 Animals, especially deer, seldom confine their visits to one property and will damage shrubs, gardens and crops on adjacent properties. For more information on ways you can help wildlife click here.